You want your business to grow. To be profitable. And to remain competitive. Creating reliable, scalable finance and accounting period-end processes is key to this success. 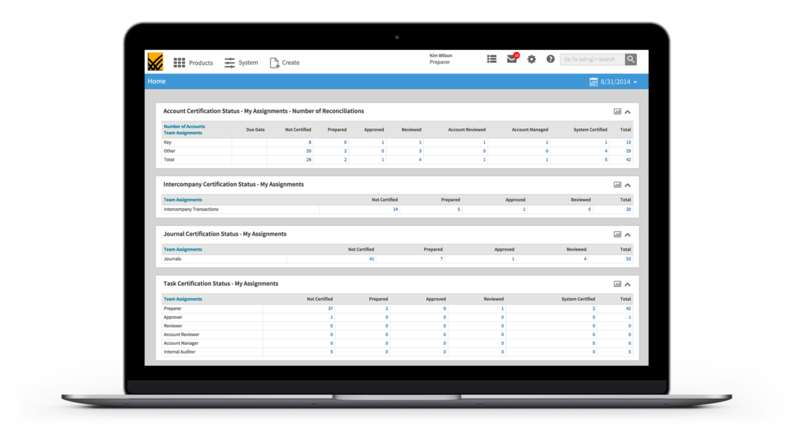 Over 400 top performing midsized businesses use the BlackLine Finance Controls & Automation Platform to automate key processes such as the financial close, reconciliations, intercompany settlement, and journal entries, and free up staff to move from just reporting on the results, to analyzing and understanding them. If you use spreadsheets and emails to find discrepancies and investigate them, if you manually create the same journal entries every period, or if you just find yourself doing the same tasks manually over and over again each period, then you, too, can greatly benefit from modernizing your processes. Accurately match and reconcile millions of transactions in minutes. Eliminate spreadsheets, and increase efficiency, control and visibility. Centralize and control the creation and posting of journal entries. Automate and scale your bank and credit reconciliations. Centralize and streamline all intercompany transactions. Improve control and monitor any accounting or finance process. It's saved us so much time"
The results highlight key process holes effecting mid-market companies today. BlackLine is committed to helping customers beyond implementations by providing guidance and best practices throughout your modern finance and accounting transformation process. BlackLine provides secure, cloud-based software that is easy to setup, offers a quick time-to-value, and has the full support of the BlackLine Implementation and Global Support Team. As an integral part of our solutions strategy, we designed our Partner Program to be built on relationships with the companies whose software and services expertise complement our own.